March is Women’s History Month and I can’t pass by Levi Carter Park without thinking about the fascinating and mysterious Mrs. Levi Carter and her husbands. I first learned about her from being an avid listener of North Omaha History podcast. In the “Early History of Carter Lake” (link below), Adam talks about the philanthropy of Mrs. Carter. This is Mrs. Selena Coe Bliss Carter Cornish Selina Carter Cornish, the widow of Levi Carter and wife of Ed Cornish. She was born in 1850 in Manhattan, NYC, New York, and died in 1938 in Omaha. In memory of her late husband, the widow Selina Carter Cornish (1850-1938) donated hundreds of thousands of dollars in cash, land and stock over the course of 30 years to Omaha, along with her new husband. It was in exchange for naming the park after her late husband, Levi Carter (1830-1903). He was an early Omaha frontiersman and industrialist in the lead smelting business. She was born Selena Coe Bliss. Mrs. Levi and her new hubbie, Mr. Cornish started their new life together in NYC, but even while they were out-of-state they kept donating land, cash and stock to pursue their mutual dream of creating the picturesque, beautiful park that became Levi Carter Park. The generous gifts were not only earmarked to honor the name of Levi Carter, but also the fond memories that the new couple, Mr and Mrs. Edward Cornish had of their hometown. Their gifts have been quoted to range on price from $400,000 to $1,000,000 depending on the fluctuating value of her real estate she gave to the City of Omaha. This is Levi Carter, born in 1830 in New Hampton, New Hampshire and died in 1903 in Omaha. He is the namesake of the City of Carter Lake, Iowa, and the Levi Carter Park in Omaha, Nebraska. This is Edward Joel Cornish, who was born in 1861 in Sidney, Iowa, and died in 1938 in NYC, New York. So back to Selina Carter Cornish and her new husband, Edward Joel Cornish (1861-1938): So husband-number-two was husband-number-one’s lawyer. He took over Levi Carter’s job at the head of the lead company when he died AND he married his widow. AND he was an accomplished Omaha Parks commissioner for 16 years. In Mr. Cornish’s Omaha World-herald obituary, he is called the “father of the Omaha Parks and boulevard system”. He had a resume of accomplishments such as being fundamental in doubling the size of Riverview Park and connecting it to Bemis Park via the Boulevard system. He helped create Miller Park and Turner Park as well. This is a 1908 headline for the donation of the Levi Carter Park to the City of Omaha by Mr. and Mrs. Edward Cornish. Over the course of years, Mrs. Carter donated equipment and money to dredge the lake. Mr. Cornish traveled to Omaha from NYC, on behalf of his wife, to work with the current Park Commissioner, Mr. Hummel, to help ensure Mrs. Carter Cornish’s dream park was under construction. They built a driveway for the park, they hired a renown gardener. They envisioned the Iowa side and Nebraska side of the park as one cohesive unit. From the Omaha World-Herald articles, it is hard to tell if the vision for Carter Lake was Selina’s or her new husband’s. Mr. Cornish was always the spokesperson for the couple’s charity and vision of the park. I had to find out Mrs. Carter Cornish’s first name from her grave stone, as married women’s first names were not recorded in the newspaper as men’s were. Mrs. Selina Carter Cornish died in NYC 15 days after her second husband died. She spent 30 years and about a million dollars on Carter Lake Park. The Omaha World-Herald’s obituary for Mrs. Carter Lake is incredibly underwhelming considering her love and philanthropy that eventually ended up in the park vista that welcomes weary travelers home to Omaha as they leave Eppley Airport. This is an ad for Levi Carter’s CARTER White Lead Company in Omaha. 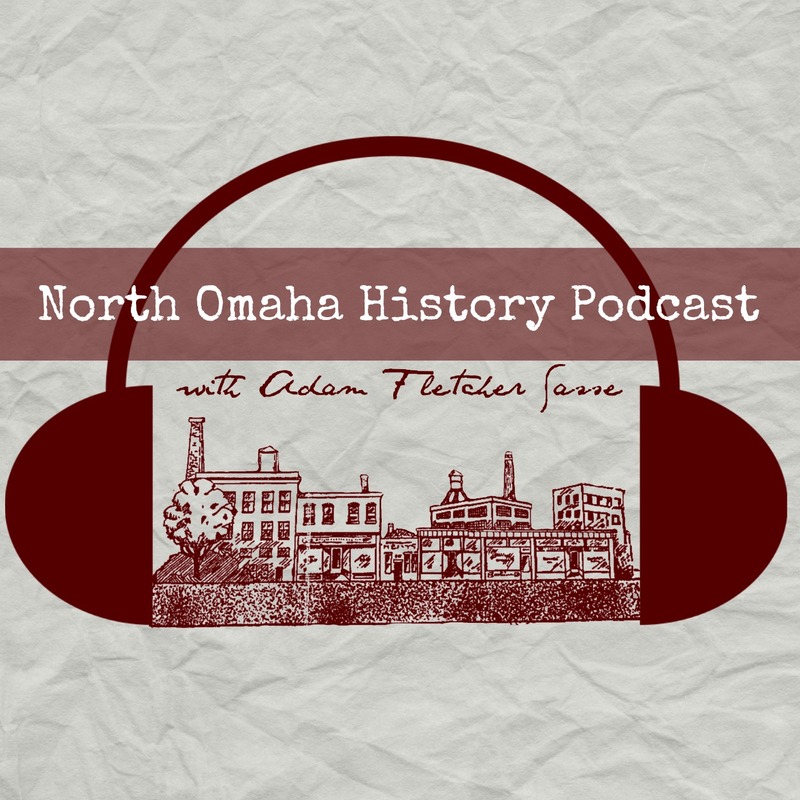 Listen to Show #16, An Early History of Carter Lake, on the North Omaha History Podcast. This is a banner I made up for the Carter Lake Club, which sat on the lake for more than 60 years. These are boardwalks on Carter Lake in 1978. This is a colorful re-imagining of Levi Carter Lake, circa 1932. This is the Illinois Central Bridge across Carter Lake. It used to span from Ames Avenue in Omaha across the fishing pier to the present-day Ave R in Carter Lake. It was destroyed by the 1913 Easter Sunday tornado. I went to Dundee Grade School in 1953. I clearly remember a darling boy named Stephen Cornish. I sensed that his family was important. I have wondered what happened to him. I don’t remember him in later years at Dundee. How long were there Cornish family members in Omaha?